I recently read reports on two schools’ live event learning activities that triggered me to revisit this topic and hope that summer might be a great time for some readers to consider pushing additional live events into next year’s planning. In the class called geo-construction, students spent the fall and winter months indoors learning geometry and the spring outside wearing hard hats and building the structure. The 90 minute class is team taught by a math teacher and a career and technical education teacher. The students received credit for a mandatory geometry class and elective CTE credit. Similar projects planned at other schools around the country are collaborating with Habitat for Humanity to create housing for low income families. I encourage teachers to explore their instruction along the following continuum from manipulation to simulation to live events. At the manipulation spot learning is limited to textbooks, worksheets, and lecture. As you move into simulations students begin to engage in some sort of “pretending” to apply the learning in a simplistic fashion; an example might be role playing an interaction between two historical figures. As you move to the right, simulations can become quite complex and in many ways mimic quite closely a live event. As a simulation the students in the geo-construction class built a small balsa wood model of the press box inside the school’s wood shop. Technology is allowing for rather sophisticated simulations that engage learners in applying trial and error learning. 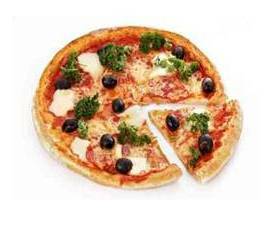 (Motion Math:Pizza) Kids are in the pizza business, creating and naming pizzas with whatever ingredients they want and selling them for whatever price they want. Customers come in and start buying up pizzas and when the day is done students identify a profit or loss. Customers get annoyed if you price your pizzas too high and you run out of pizzas if you price them too low. 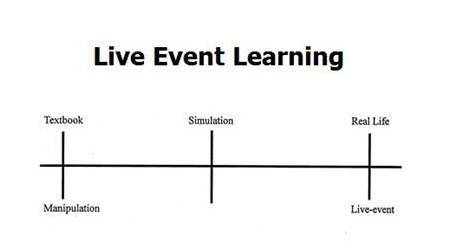 A learning activity crosses from a complex simulation to a live event when the consequences of the event are real. We priced the pizzas wrong and they don’t sell…game ends (simulation). We buy pizzas from a local pizzeria and sell slices at the PTA fair… sell all slices and make a $50 profit (live event) or a surprise snowstorm appears and no one shows up at the fair… lots of unsold pizza left and we lose $50 of the class money spent on the pizza (live–event). Much of the learning power from simulations and live events is the raised engagement generated by increased emotional buy-in. The Elizabeth Forward Middle School’s Dream Factory is collaboration between Computer Science, Technology, and Arts education. Students work collaboratively to ask questions and solve problems, utilizing the most up-to-date methods and tools, including apps for designing, making, creating, and sculpting and 3D printers to bring their designs to life. As an instructional leader, how might you encourage your staff to provide students more learning experiences in simulations and live events? Thanks for all your insights. 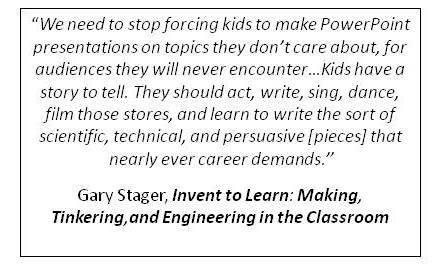 I learned he was “different” and would never present “a powerpoint on a topic of no interest to him.” He had other stories to tell and when given the chance, he excelled.